SecuraSoft™ MBOX File Viewer is a standalone tool to open and view MBOX file. 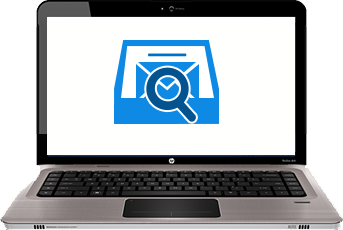 The tool allows opening mailbox files with associated email properties and attachment at free of cost. Download the Free MBOX Viewer to open MBOX files without any means of any application Platform. Supports to open, view and read multiple MBOX files. Download the Free MBOX file viewer to Open unlimited files. The Free MBOX Viewer supports preview of multiple MBOX file. You can add multiple MBOX file one by one and the software will open all of them in the left pane. One may select the MBOX file from the left pane to view the emails. MBOX File Viewer instantly generate the preview of MBOX emails along with their attributes. One can get the preview of emails as well as email headers and all types of attachments like doc file, images, audio etc. As you add a MBOX file, the free MBOX file Viewer will automatically performs quick scanning of the MBOX file. after the scanning process software will preview the File name, File size and the Creation date. The MBOX Viewer will display all the emails along with attachment and attributes without any email client dependency. Simply download the free tool, upload the MBOX files and view the emails with attachments. "I am grateful to your organization for providing such a wonderful tool to view MBOX files at free of cost. Really it is the Best Free MBOX Viewer tool to open MBOX emails"
"I like the graphical user interface of the Free MBOX Viewer because I am not a technical person but by using the Software I could easily read email of my MBOX file from anywhere." "I can't believe Free MBOX file viewer tool is availble to read & open emails without any platform needed. Hats off to the Team." "I will always be thankful to this software, I remember the day when I need to open the MBOX file urgently and I forget the login details of Thunderbird account then this MBOX file viewer comes to save my job." MBOX is the most commonly used file format supported by many email clients for storing email messages and other data. Some of the email clients that supports MBOX file format are Thunderbird, Sea Monkey, Eudora, Entourage and many more. MBOX file format is created by most of the email clients but still there are some emergencies in which user needs to open the MBOX file without email client dependency then Free MBOX File Viewer helps you to open the emails. Freeware:: The MBOX file viewer is freely available software to view MBOX file, hence it is more economical than other Software. MBOX Viewer is globally accepted because user can use all features of MBOX Viewer at free of cost. User Interface: The MBOX Viewer has single panel user interface which is easy to use. Even a non-technical user can also easily add and view his MBOX emails without any required platform. Preview of multiple MBOX file: User can add multiple MBOX file one by one and can preview data of each MBOX file by selecting the desired MBOX file from the left pane of the software. The Free MBOX Viewer is a standalone utility that supports 20+ email clients compatible with MBOX file formats. The Software is capable to open and view multiple MBOX file without any Email Client dependency. The Software is designed with Simple and easy graphical User interface to open and read emails from MBOX files along with their attributes and attachments.